In the consumer credit world, unsecured credit is the ultimate act of faith. Lenders and card issuers must trust not only that you will repay the money you borrow, but they must also hope you will do so on time and as agreed — because tracking down wayward debts is time-consuming and expensive. Of course, it’s not all just a shot in the dark. Lenders work to mitigate the risk of unsecured credit by checking your credit history before making a decision. If you have bad credit, you’re more likely to be turned down or charged more than consumers seen as less risky. While unsecured credit cards are often easier to obtain than other types of unsecured credit, even card issuers worry about risk. With bad credit, you’ll be limited in the types of cards available to you, and you’ll likely pay for the privilege. But, credit is out there. Although it’s not ideal, the reality of having bad credit means that any of your options for credit cards will likely have some sort of restrictions that make them less-than-awesome. And, when you eliminate secured cards that require a deposit, your options basically narrow down to either expensive subprime cards or closed-loop store cards. For our overall top picks, we’ve selected three cards that cover the gamut of bad-credit options for unsecured credit cards. None of these cards are perfect, mind you — each card has its own pros and cons that should be carefully considered before you fill out an application. Essentially a store card, this option allows approved applicants to make and finance purchases at Fingerhut.com — but nowhere else. The card has no annual fee, no processing fee, and reports to all three major credit bureaus. Just be sure to pay your balance in full each month, as the APR leaves a lot to be desired. This card offers a relatively low APR — for a subprime card — and a nice, long 25-day grace period on new purchases. The exact annual fee and processing fee you’re required to pay will vary based on your specific credit profile, with some applicants qualifying for a $0 annual fee and/or $0 processing fee. Approved applicants for this card won’t be stuck with a pricey processing fee, but, similar to the card above, this card’s annual fee will vary based on your individual credit profile. Additionally, the APR is fairly competitive, though watch out for late payments as they may result in a penalty APR being applied. One of the biggest downsides to unsecured credit cards for bad credit is the cost. Not only do most options charge high annual fees and high interest rates, but a large number of them also charge processing or program fees that add an extra $50 or more onto the upfront cost of the card. Not every subprime issuer is out to drain you dry through fees, however. Some cards have variable processing fees, for example, that allow lower-risk applicants to avoid the fee altogether. However, the easiest way to skip the processing fee is to choose a card that doesn’t charge one in the first place, like our picks below. As a closed-loop store card, this option can only be used for purchases made at Fingerhut.com, but the limitations on its utility are (at least somewhat) balanced by its affordability. Consumers who are approved for this card not only skip the processing fee, they also avoid paying an annual fee. This is one of the only unsecured subprime cards on the market that offers purchase rewards, making it stand out from the crowd for that alone. However, this option also skips the processing fee and offers a variable annual fee that means lower-risk applicants may be offered a low or $0 annual fee. While this card isn’t big on the bells and whistles, it also doesn’t have a pricey processing fee and it reports to the three major credit bureaus. Plus, the variable annual fee means you may be able to avoid the annual fee, as well. You can also check for pre-qualification before applying to get an idea of your approval chances. In the past, signing up for a new credit card was often a long, drawn-out process that could take weeks from start to finish. First, you had to get your hands on a paper application. Then, you had to physically fill out the forms and mail the application to the issuer. Then came the interminable wait for a decision to arrive in the mail. These days, online applications and digital decision algorithms mean you can go from zero to decision for nearly any credit card in about a minute. Even issuers that offer cards to consumers with bad credit have joined the modern age, offering easy online applications with near-instant decisions. Of course, getting approved will still depend on your credit, no matter how quick the process. While this card isn’t the most affordable on the list — you’ll pay both an annual fee and a program fee right off the bat — it does have extremely flexible credit requirements, making it easy for most applicants to get instant approval. Be careful to pay off your balance in full, however, as the APR is high. Similar to the card above, this option will cost you a decent amount in fees, but it has a low approval threshold that makes it fairly easy to get approved for right away. Ideally, you should use the card responsibly to boost your score, then cancel the card before the first year ends to avoid the monthly fee that kicks in the second year. This card is a decent option so far as unsecured cards go, with no processing fee. Many features of the card will vary based on your credit profile, however, including the annual fee, APR, and whether you are offered a grace period. If the offer comes without the grace period, go with a different card, as no grace period means you’ll start accruing interest on all purchases as soon as they post to your account. Although regular, open-loop unsecured credit cards are what most people think of when it comes to finding a card to build credit, closed-loop store credit cards can also be a good choice, particularly since most store credit cards won’t charge an annual fee. Store cards do have their downsides, however, starting with the fact that closed-loop store cards can only be used to make branded purchases. Store cards also tend to have low credit limits and high APRs, which makes it important to pay off the full balance each month. But, as a no-fee option that will also likely offer rewards, store cards are a solid pick. The Target REDcard gives cardholders a 5% discount at the register for most purchases, as well as free two-day shipping for Target.com purchases. While not everyone with bad credit will be approved, applicants with credit scores in the upper 500s have reported being approved for the card. Regular usage and on-time payments can lead to credit limit increases, as well. The Amazon.com Store Card is a decent pick for even casual Amazon users, but Prime members will get better rewards, earning up to 5% back on Amazon.com purchases. In addition to rewards, the card comes with special financing deals for large purchases, but be wary of the deferred financing that could cost you if you can’t pay off the full purchase in time. Consumers with particularly low credit scores aren’t likely to get approved for this card, but some users report being approved with credit scores in the 600 range. The Firestone Credit Card doesn’t offer purchase rewards like most store cards, but it does give cardholders access to monthly deals and coupons. Plus, users can get special financing on qualifying Firestone purchases, which can come in handy for needed repairs. While the special financing can be useful for saving on expensive repairs or tire purchases, be sure to pay off your full financed amount before the end of the terms. If so much as a dollar is left over after the terms expire, you’ll be on the hook for interest on the full amount. Cardholders have reported being approved even with low credit scores or previous bankruptcies, but your mileage may vary. Alright, so the idea of an unsecured credit card is to avoid having to pay a deposit. But, consider this: By the time you’ve paid a $50 to $99 annual fee, then a $50 to $99 processing fee, you’re already out of pocket $100 to $200 — and that’s money you won’t get back. At the same time, the deposit for a secured credit card is completely refundable when you close your account with a $0 balance. Since you can get some secured cards with a deposit as low as $200 — cards without annual fees — it can make a lot of financial sense to go with a secured credit card over a pricey unsecured subprime card. A solid secured card option, this card can have a minimum deposit requirement as low as $49 for a $200 credit limit, though your specific required minimum will vary based on your credit and could be as much as $200. However, making the first five payments on time can unlock a higher credit line without the need for a larger deposit, and there’s no annual fee. 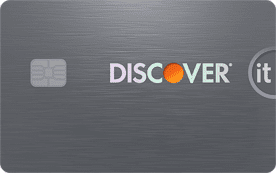 This card has a minimum deposit requirement of just $200, though you can put down more for a higher credit line. Of course, the big selling points of this card are the cash back rewards on every purchase and the lack of an annual fee, a rare find when you’re looking for a card to build credit. Although it may seem odd when considering the low risk represented by secured cards, some issuers will deny secured credit card applicants if they have a particularly troubling credit history or certain red flags. 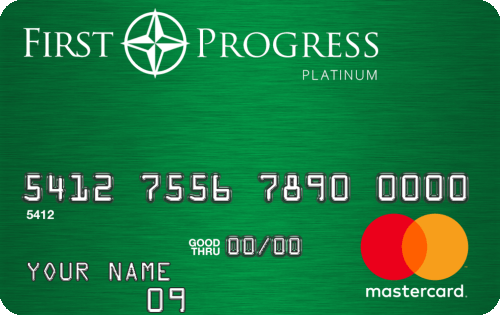 This card, however, has no minimum credit score or credit history requirements, making it one of the easiest cards to get. Provide at least a $200 deposit and pay the low annual fee to unlock a credit line equal to your deposit. When exploring the world of consumer credit, it can sometimes feel as though you need to take a dictionary along for the ride just to translate all the lingo you come across in your travels. One important bit of financial lingo you’ll need to understand right off the bat is the term unsecured. In essence, unsecured credit is credit that is offered to you without any sort of down payment or collateral. Most personal loans, for example, are unsecured, meaning you use only your signature to get the loan, and the lender relies on your word that you’ll repay the money as agreed. Most prime credit cards are unsecured credit cards, meaning you won’t need to make a deposit to open the account. The better your credit history, the more likely you are to be approved for a credit card without a deposit requirement, and the higher the credit limit you’ll likely be offered. If you have a low credit score, issuers will consider you to be a financial risk, and will be less likely to offer you unsecured credit. Even if you’re approved for an unsecured card with a low score, you’ll likely pay much higher interest rates and annual fees to help offset some of the perceived risk. In contrast, secured credit cards will typically require an upfront cash deposit to open and maintain. This deposit acts as a security net for the issuer, protecting their money in case you default on the balance. Overall, unsecured cards are obviously sought-after because they don’t require forking over hundreds of dollars for a secured card — money that you won’t see again until your account is closed. That said, if you have bad credit, the higher interest rates and fees of unsecured subprime credit cards can make secured credit cards the better financial option, as the security deposit is fully refundable so long as you close your account in good standing. Do Unsecured Credit Cards Require a Credit Check? Few words can strike fear into the heart of a consumer with bad credit quite like, “credit check required.” But, in reality, you should be more afraid of cards that don’t require a credit check, because any unsecured credit card that doesn’t check your credit will likely make you pay out the nose for the pleasure. Essentially, credit report checks are how credit card issuers determine the financial risk of issuing a card. Applicants deemed too high risk are typically denied a card or offered a card with a proportionally high APR and/or annual fee, which helps mitigate the risk to the issuer. If the credit card issuer doesn’t check credit reports when issuing cards, it has no way to determine which applicants are the riskiest; in this case, the issuer will likely assume all cardholders represent the same risk level — and charge them all the same inflated rates and fees. Of course, that’s assuming you can find an unsecured credit card that doesn’t check credit reports, which is a rarity. Some credit unions may not require a credit check for existing members, and some secured credit cards will skip the credit check so long as you can make the deposit, but unsecured cards from major banks will almost always require a credit check as part of the application process. A common piece of financial lingo, subprime is an important term to understand, particularly if you have less-than-stellar credit. In essence, a subprime consumer is someone with a credit score that is low enough to present a significant financial risk. According to Experian’s definition, this means credit scores between 501 and 600. Scores below this range are considered to be deep subprime. 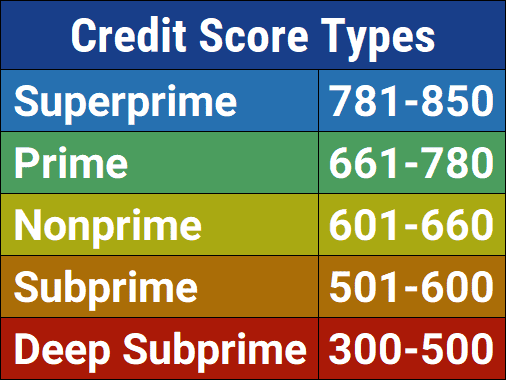 The high risk associated with subprime credit means that consumers in the subprime or deep subprime category will generally find it difficult to qualify for new credit without turning to secured products or using dedicated subprime lenders and card issuers. Along those lines, a subprime credit card is a card product designed for subprime consumers, which typically means it has no minimum credit score requirement and can be obtained by a variety of credit types. In practice, this also tends to mean high fees and interest rates, as well as low credit limits, since issuers need a way to offset some of the risk of lending to subprime consumers. How Do You Increase the Credit Line for an Unsecured Card? One of the biggest challenges to being limited to subprime credit cards is that most unsecured subprime cards have very low credit limits, with $300 being typical. A low credit limit not only makes it impossible to charge large purchases, but a low limit can also wreak havoc on your utilization rate even with only a few small charges. Your utilization rate is a measure of how much of your available credit you are utilizing. For example, if your credit card has a $300 limit and you have a balance of $150, your utilization rate is: $150 / $300 = 0.5, or 50%. A utilization rate above 30% is typically considered a negative and can cause your credit score to decrease. For most credit cards, there are three main ways to increase your credit line. The simplest method is to just wait; many card issuers will offer unsolicited credit limit increases if you use your account regularly and pay on time each month. While unsolicited increases are rare with subprime cards, some issuers may offer them. Alternatively, you could call the issuer directly and request an increase to your credit limit. Most issuers will require that your account is at least six months old before you can request an increase. Keep in mind that a credit limit increase request could result in a hard credit pull, and some subprime issuers may also charge a fee for the service. Secured credit card users may also have a third method of increasing their limit; some secured cards allow cardholders to add to their security deposit even after the account has been opened. The additional deposit allows for an increase in the credit line without increasing the issuer’s financial risk. 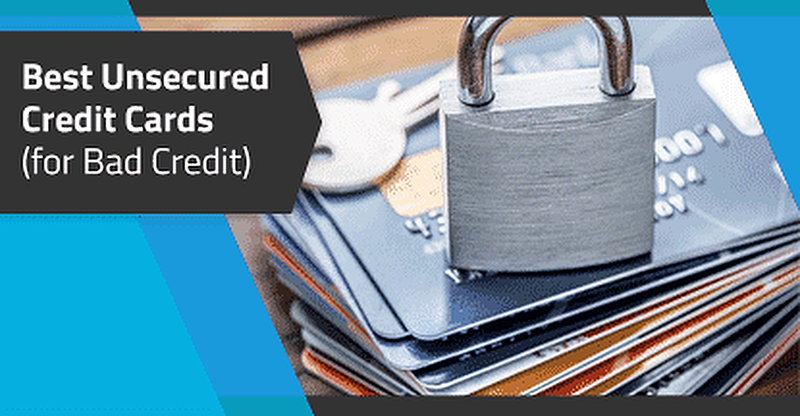 What is a Secured or Partially Secured Credit Card? When shopping credit cards, you have two basic options: secured and unsecured. Cards that require some form of deposit are called secured cards, while cards that don’t require any type of collateral are called unsecured cards. Secured credit cards are a good option for consumers with poor credit, as the cash deposit made to open the account acts as security against default, limiting the issuer’s financial risk. This makes it more likely to be approved, even with a low credit score, and it can also mean lowers rates and fees than would be offered by an unsecured card for the same credit score range. For most secured credit cards, the amount of the deposit will determine the size of the card’s credit line at a 1:1 ratio. For instance, a $500 deposit would unlock a $500 credit line for that secured card account. Most secured cards have a minimum and maximum deposit/credit line amount. If a secured credit card offers a credit line that is larger than 100% of the deposit amount, it is considered to be partially secured, meaning only part of the credit line is secured by collateral. The Capital One® Secured Mastercard®, for example, can be a partially secured credit card as it allows some applicants to put down a deposit as low as $49 for a $200 credit line. The deposit you make to open a secured or partially secured credit card account remains in a locked savings account for the entire time the account remains open. If you close your account in good standing — i.e., with a $0 balance — your entire deposit will be returned to you. Some cards even let you earn interest on the deposit. Some of the best secured credit cards will actually give you the opportunity to upgrade or graduate your secured card account to an unsecured account after showing responsible card use and credit improvement. If your account is upgraded, your deposit will be returned in full, either as a check or simply by giving you access to the secured savings account in which the deposit was kept. It’s important to realize that the deposit you make to open and maintain the account is collateral, not a prepayment. You will still need to make monthly payments as you would with an unsecured credit card. The only case in which the deposit for a secured credit card is used is if the account goes into default and gets charged-off, which typically occurs after it becomes 180 days delinquent. In this situation, the issuer will close the account and use the security deposit to cover any outstanding balance. If you owe more than the deposit can cover, you’ll be on the hook for the rest. Which Unsecured Credit Cards Have Guaranteed Approval? Although it would certainly be delightful if everything in life came with some sort of guarantee, the sad fact is that very few things in life are guaranteed. And, that goes double in the world of finance. So, the short answer is, there aren’t any unsecured credit cards with guaranteed approval, least of all for consumers with bad credit. That’s because credit card issuers are taking a huge leap of faith when they offer an unsecured credit line to a consumer. At the point someone decides not to repay their credit card bill, the issuer has only expensive options from which to choose. They either have to hound the cardholder for repayment, go through legal channels, or write off the debt as lost and sell it to a collection agency for a fraction of its value. While credit checks and risk models can help creditors limit the risk to their bottom lines, that risk never really goes away. This is particularly true in cases of subprime lenders who work specifically with high-risk consumers who would otherwise be unable to qualify for credit. At the end of the day, even subprime issuers have to draw the line somewhere. No matter how flexible the credit requirements of a particular card may be, some credit red flags simply can’t be ignored. Active bankruptcies, for instance, are avoided by nearly every lender or card issuer — no one wants to get caught in that crossfire.